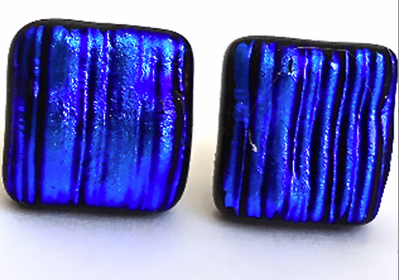 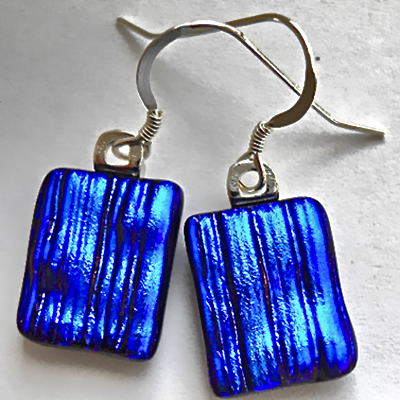 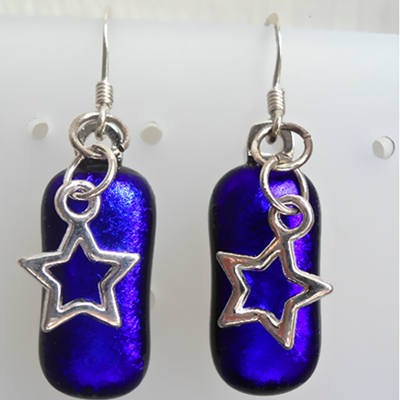 These square Cobalt Blue textured Dichroic glass stud earrings have a matching ring. 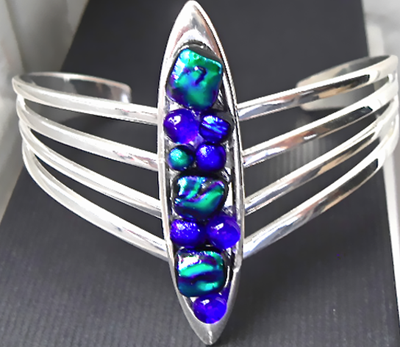 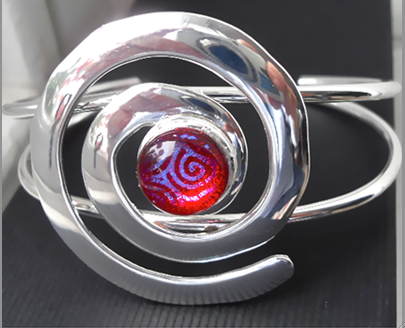 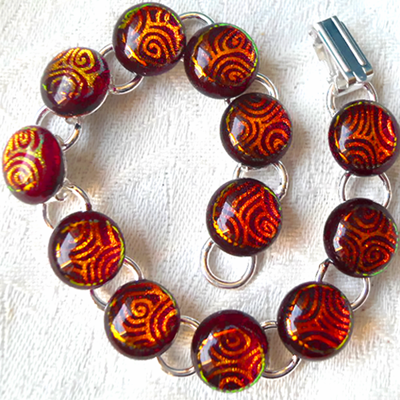 This beautiful bracelet is made with 12 Copper and Gold Dichroic glass pieces. 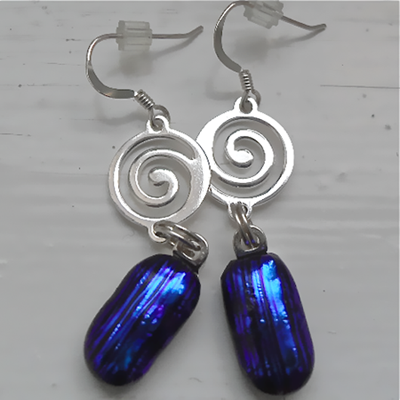 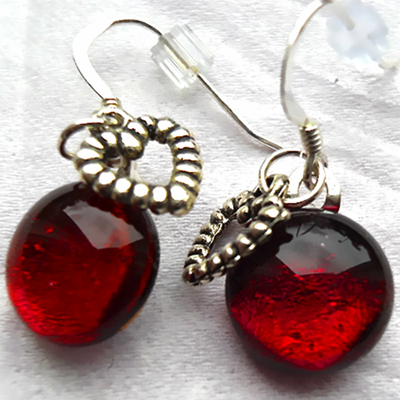 There are matching earrings. 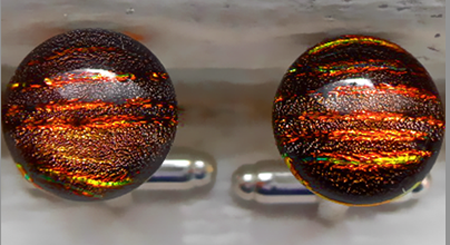 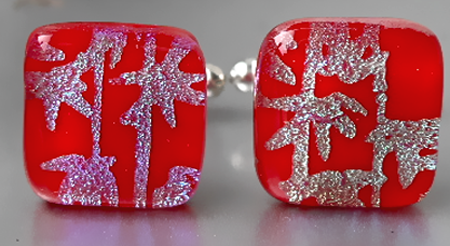 These cufflinks are made of patterned Coppery Gold shiny striped Dichroic glass. 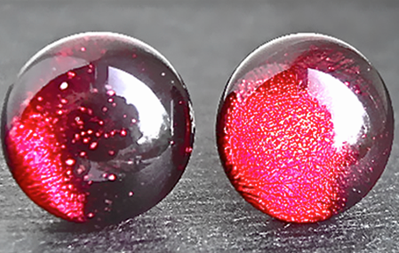 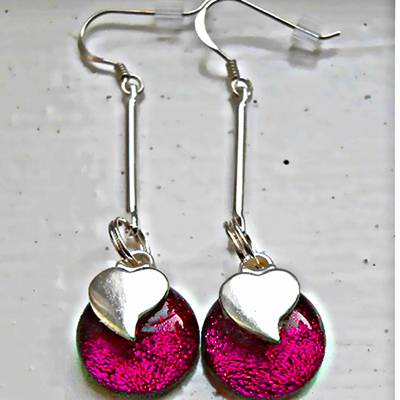 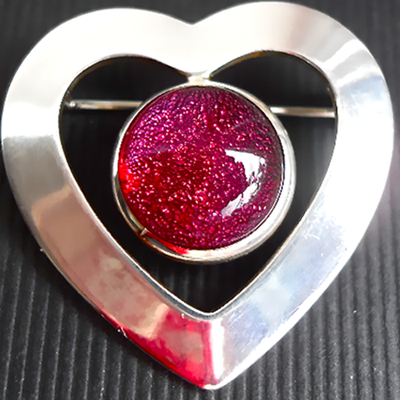 Very bright shiny Dark Pink stud earrings. 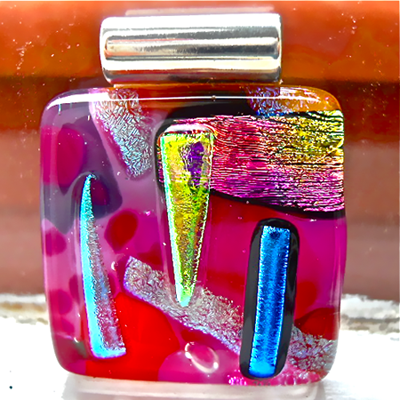 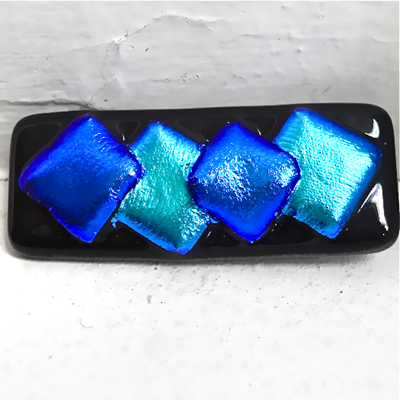 Chunky arty Dichroic glass pendant. 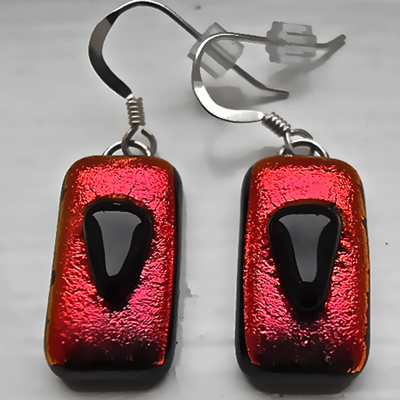 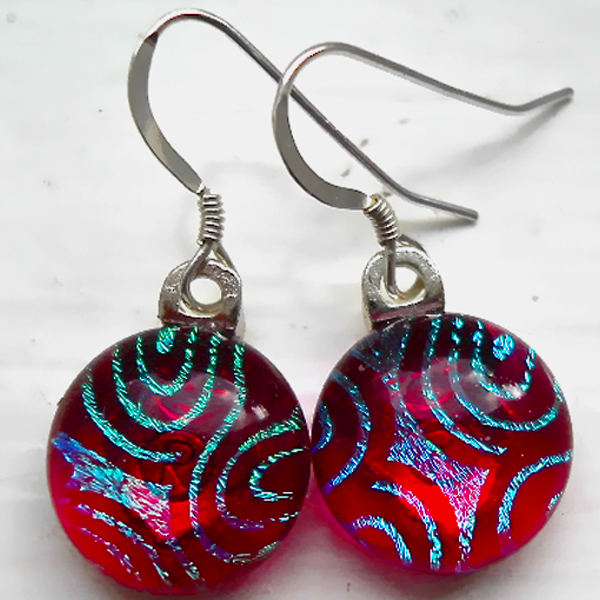 Predominently dark Pink with Turquoise, Gold and Blue pieces of Dichroic glass. 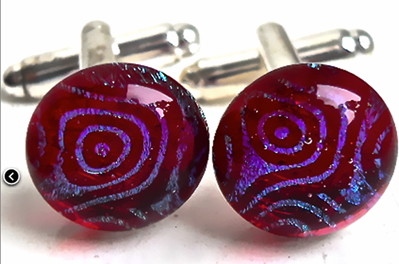 Unisex cufflinks. 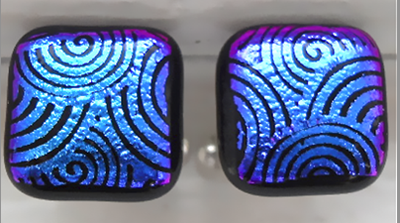 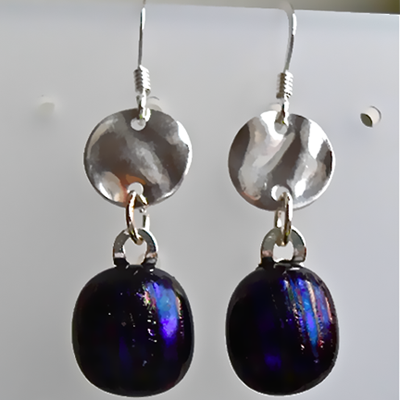 Dark Pink with a Sparkly Blue dichroic design.